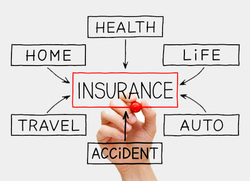 At Andersonville Insurance Agency we offer All Lines business and personal insurance at the most competitive prices in the Chicago-land area without compromising coverage. We will help you with achieving the comfort of knowing you are fully protected against all life's uncertainties. We work with nationally recognized and trusted insurance companies to find you a competitive quote at the best rate possible. Our long term customers are proof that we stand behind our services and prices.